Grit your teeth sports fans. I have to make an admission, which may lead to admonition. (Who has two thumbs and can’t write a joke? Jay Leno).The only real way to get better at winning back from playing Lich2 is to do it, a lot. His spells and abilities are like an onion, a rancid onion. It has many layers and you were already crying upon breaching the first. 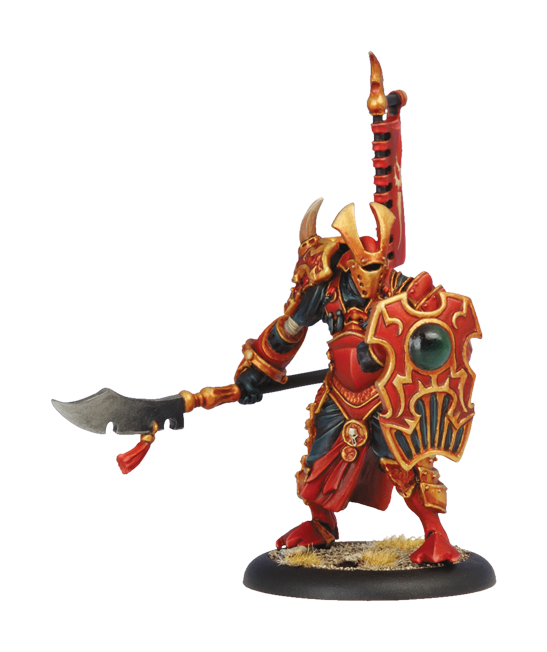 My favourite personal anecdote was playing against him with a skorne army, led by Aptimus Zaal. I had dealt with the biles, either getting purged in as restricted a manner as possible, or shooting them with beast guns. I had survived the feat, and leveraged beserking nihilators and kovaas so that there was very little left on either side of the table. The Lich had moved forward to start scoring, and I still had my brute, and indeed my feat! I thought I had, between luck and skill finally gotten through all of the horrors. I enraged and last standed the brute and declared a charge on the big bad. Turns out hellbound is a thing! I had forgotten it completely, in my relief at being through the worst of it. The brute had to charge, then had to attack something, after which it died from last stand and I lost on scenario very soon thereafter. The tricks are awful, and you have to see them several times, until you yourself could execute them to a certain level of skill before you’ll catch them all. That’s a serious slog, and a lot of games you’ll lose. You are likely to be a better player (at least against Cryx) by the end of it. Lich2 lists have a lot of similarities, because it’s a well-oiled machine of death. There will be two units of banes and bile thralls, and if there isn’t you just have an easier time of it. Some of the support may change, but those core three units will remain. The scariest versions also have satyxis blood witches, which pose a worrying question with their incorporeal mini-feat and worse, stop tough from working. This means you can have all the 4+ tough you want, that bile purge will still consume your unit, and if the blood witches are involved with them and incorporeal it won’t even affect them! Feel free to rage vomit, I’ll wait. Let’s look at a Lich2 list in detail, you’ll recognise this as the Keith Christianson list from the last article. Here we see two units of banes and bile thralls. Expect the bile thralls sprinkled in among them, while a wave of clouds obscures all but two of the knights and hides the biles completely. Don’t ever kill just one bane knight! We also have the blood witches, these will be run at you as fast as possible, waiting to mini-feat for as long as possible. 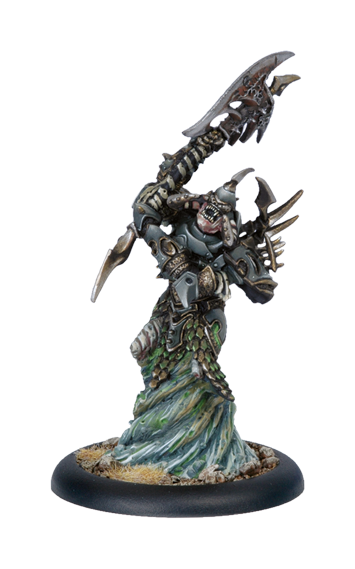 Tartarus is there to accompany the banes, making them have huge threat ranges and allowing them to hit with startling accuracy. Tartarus also makes the feat an assassination monster because mat 8 bane knights are insanely dangerous to all but Def 18+ warcasters. Can’t make an onion omelette without tartar sauce, or bad mixed metaphors. The variety we’ll see in Lich2 lists is mostly in the remaining support, and ‘jacks. Here we have two bone jacks, which mostly deliver excarnate so the Lich can place a bile in a perfect position, then teleport to safety. They can and will also throw parasite around, and very occasionally drop a death knell on a huge cluster of models. A lot of their value from what I’ve seen is being still alive later in the game and contest/controlling zones. Some people like the reaper (that harpoon guy) as a jack with Lich2, so they can pull things in for the banes to get, or tear casters into the open for the feat to get them. A few people like a death jack as an excarnate and death knell delivery system, which requires a heavy to come forward to kill it. I think that’s way too expensive for what it does, but you will see it occasionally. Common solos I see are pistol wraiths, which are obviously good and offer him some shooting. You also see Saxon Orrik frequently because Lich2 doesn’t have ghost walk or another way to get pathfinder in an army of often 40+ models. Darragh Wrathe is there to make Lich2 very hard to kill in the late game, and most importantly to use death ride to move the army up even faster. That gives banes and biles a terrifying amount of threat. You will sometimes see Madelyn Corbeau to move biles, the Lich, and Tartarus around. 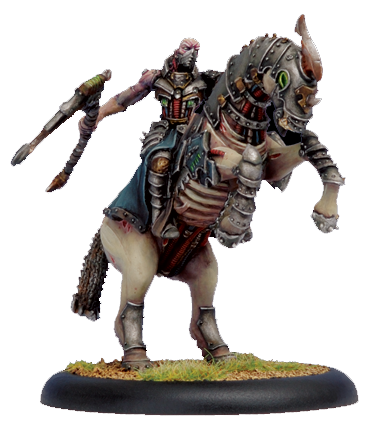 You will also see Gerlack Slaughterborn, who is there to draw fire usually, and a fairly solid model to bring back on the feat. Warwitch sirens are not unusual as they let the bone chickens run and are just as an awesome solo. It’s a shifting allotment, but many of them are simply awesome Cryx solos which do their own thing in a way not unique to Lich2. Almost Gormanly good with the Lich. The game plan for Lich2 is pretty complex, and very adaptable. Usually the plan is to bring the armies together, using caustic mist to get in close, then trying to kill as much as possible with banes and bile thralls often propelled by excarnate. If the attrition war starts to turn against the Lich or a juicy feat target opens up (gargossal, two heavies, warcaster/’lock) he will fire up spectral legion and that can often be the final blow. A really good Lich player doesn’t feat until you’ve turned the game against them, and this might not happen in every game. If after the feat, there is much left on either side, the battle continues, usually though there are a few scattered models on both sides. If he still has bile thralls at this stage you are in enormous trouble. Usually what happens here is that Lich starts popping clouds and clearing zones with his remaining models, then any remaining solos or jacks try to start scoring, Darragh will often be able to stand behind the Lich while he camps and dominates and there is unlikely to be anything able to kill him. This is usually the stage at which the Lich wins against other good players as in the end game he’s a scenario monster and he has been pushing so hard all game he probably has board advantage. So what we need is to have scoring and contesting solos as well as the ability to threaten to kill the Lich in the end game. Thanks to 2013 Lich himself cannot contest. This is a really important point to keep in mind. Lich2 has a huge bag of tricks. His game plan is easily adaptable on the fly as it mostly involves killing all of your models. He is very strong on scenario, assassination and attrition. He has very, very few hard counters and those are usually unusual things that are not always generally useful. Next week I’ll look at trying to beat him with Khador. Pro-tip the Sorchas are pretty good here.